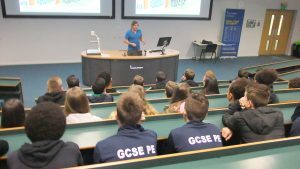 Brighton secondary pupils visited the School of Sport Service Management in Eastbourne to hear from leading experts on developing a career in sport. The year 10 pupils are all currently studying GCSE Physical Education and attended presentations from university staff. 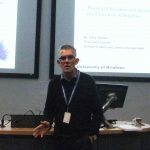 Senior Lecturer, Dr Gary Brickley, spoke about the application of sport science; the university’s Director of Sport and Recreation Sarah Hogg provided examples of different career pathways in sport; and Principal Lecturer, Dr Gary Stidder, spoke about the many sport-related courses available at the University of Brighton which include physical education, dance, sports coaching and sport journalism. 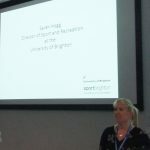 Rebecca Ashdown from Hove Park School said: “Each of the presentations were very inspiring for our pupils and really did highlight the vast numbers of careers there are available in the world of sport from nutritionist, sport psychologist to physical education teacher. Find out more about studying sport and exercise at the University of Brighton. This entry was posted in Community, Dance, Sport & Exercise Science, Sport Business Management, Sport Coaching, Sport journalism, Sport Studies by Kerry Burnett. Bookmark the permalink.